A new online system promises to make it easier to sign up for recreation programs in the city. 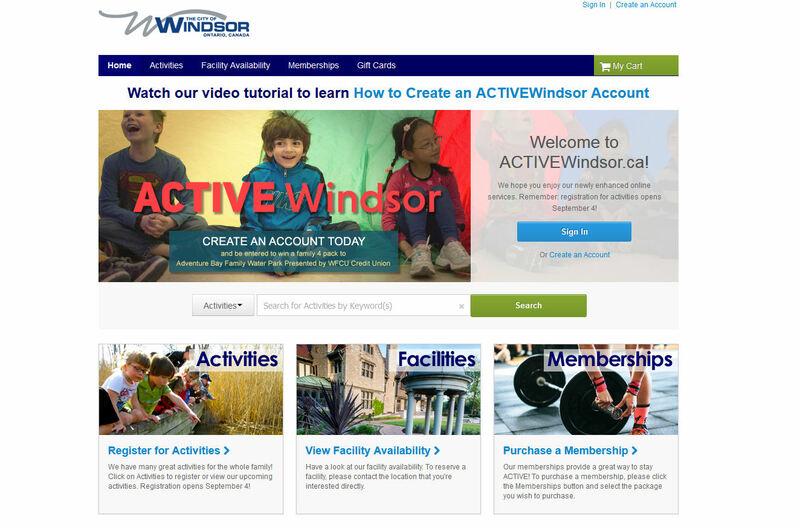 activewindsor.ca today replaces the 20-year-old reconnect system and provides a vastly improved customer service experience. Residents can create an online account from any device at any time and can now search by keyword, age, location, day and time. The new site is mobile friendly for registrations, allows for the creation of wish lists and the ability to pay using their secure online shopping cart functionality. Users can also save payment information making future transactions quicker.